Am not so crazy about the time change . I just feel we have hardly any daylight. Well not the best thing when you get your creative juices going at 4 pm on a cloudy evening with hardly any day light. It has been on my mind forever to start using my camera the way it should be used - to understand light better and to use it to my advantage. 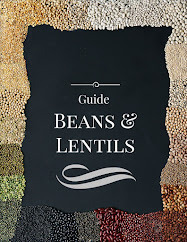 I started reading - Plate to Pixel - digital food photography and styling by Helene Dujardin. 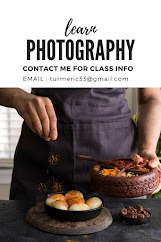 Love the way she explains every aspect of capturing the food and sharing it thru photography. You must visit her blog- its spectacular. After I spent a few hours reading , my hands were itching to try something new with my camera. It was 4pm on a cloudy day with hardly any day light, I had made some coriander mint chutney that afternoon, I got out my camera and started using different combinations of settings. I was really happy with the outcome and am glad to use the pixs. Am looking fwd to more learning and rediscovering my camera. Any photography tips and advise are welcome. Add all the ingredients in the blender add some water ( not much - you don't want the chutney to be watery consistency) blend till it is nice and smooth...almost creamy. Use it with parathas or sandwich or in bhel puri, sev puri and dahi vada. This is a very multi- purpose chutney - adds the oomph in a meal !! One of my favorite use is with grilled cheese sandwich.....add a slice of cheese and a tbsp of chutney between two slices of bread and grill....it is a simple and divine snack - add some chips and a glass of mango lassi and you got a meal. You can store this in your refrigerator for 2-3 weeks. Wat a flavourful chutney,love it. no indian meal is complete without this. beautiful presentation. Humm...Yummy my homemade samosas are waiting to be dipped in this chutney..looks delish..
Can I borrow some chutney to enjoy with my paranthas I made tonight?? Love it! What fantastic flavors for a chutney...love this! I can imagine about 100 dishes that this would go well with. I need to get on this asap! Love the rich, vibrant color. Amazing pictures, delicious chutney! Visual and virtual treat dear! I love fresh coriander, luckily here I have a market where I can find it. You have great recipes, I'm following you immediately. Hello from Rome, Italy! 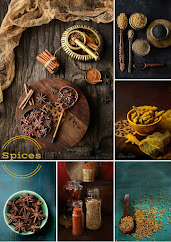 Beautiful clicks and delicious chutney..nice post.. Your photographs are beautiful. All these days, I was using only point and shoot camera. Couple of weeks back I brought Nikin D5100. I am struggling to use my new camera. I am also reading the same book(plate to pixil) right now. Or I should say that I have been trying to read (didn't get a chance to pass more than 10 pages). I would like to learn more about your points on photography. Thanks for visiting my blog.